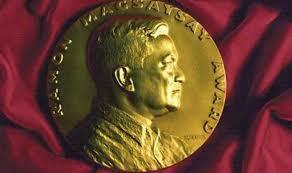 Ramon Magasaysy Award is called ‘Asias Nobel Prize’. Journalism, Literature, Creative communication art. भारत में Ramon Magasaysy Award सबसे पहले दिया गया था Vinoba Bhave को for ‘Community Leadership’. Vinoba Bhave, Kiran Bedi, Vargees Kurian(milk revolution), Baba Amte, C. D Deshmukh(RBI governor in 1947), Arwind Kejriwal, R. K. Laxman, T. N. Seshan(former election commissioner), SonamVatwani(Psychatrist), Sonam Wangchuk. 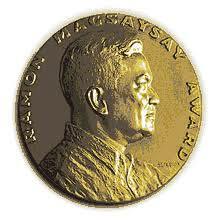 We hope that you have understood about Ramon magasaysy award in simple language. For more such articles follow us on website.